Right now, Australia is one of the most popular migration destinations in the world. This is especially true for Indians and the number of people Migrating to Australia from India has increased exponentially in the past few years. 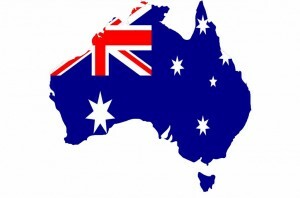 Australia is slowly becoming a hotspot for visit, study, work and Permanent Residency Visas. However, out of all the Visas that the country offers, Australian Permanent Residency Visas are the ones that are the most popular among skilled professionals. Migrating to Australia through the Australia Skilled Independent Visa (Subclass 189) is one of the best options that the country has provided to skilled professionals. The eligibility of this way of Australian immigration is quite basic for skilled professionals, the processing is quick and efficient, and the benefits are humongous. 2. After finding out if you are eligible to apply for the Skilled Independent Visa, you need get your skill assessment done by ‘SkillSelect’. SkillSelect is the authority that evaluates a migration enthusiast’s education and the relevant work experience. Once the skill assessment is positive, you can go ahead with the next step in your dream of migrating to Australia from India. 3. Submitting your EOI (Expression of Interest) the next step in Australian Immigration from India. However, an EOI can be submitted only if the SkillSelect assessment is positive. In your EOI you need to submit the proof of funds, police clearance certificate and a few other documents if necessary. 4. Once your EOI is cleared, you will receive the Visa Grant Notification from the Department of Immigration and Border Protection (DIBP). The Grant Notification is your ticket to work and settle in Australia on a permanent basis. So, these are the simple steps to migrate to Australia from India. If you wish to know more about the points calculation or if you want to find out if you are eligible to migrate to Australia, you can contact us today for a Free Evaluation!